So that is it. 48 matches. 2,439 points including 271 tries. 2,477,805 spectators. Many are calling it the best Rugby World Cup ever. Certainly the most financially lucrative, no surprise given the steep prices for matches in major stadiums. It was a controversial call to spread the game to non-rugby playing locations, such as Brighton and Milton Keynes, but the stadiums were full and the only threat to not increasing player participation was in fact England bombing out of the tournament in the pool stages. A global audience were treated to probably the best final we have ever seen in terms of entertaining rugby. But what of the tournament as a whole? The tournament got off with an earth-shattering bang with Japan beating two-time former champions South Africa. That match is what makes rugby union and sport generally so enthralling and gripping. The bravery of Japan to go for the win when a draw was the easy option inspired England to attempt to replicate it against Wales when actually they should have sealed the draw. 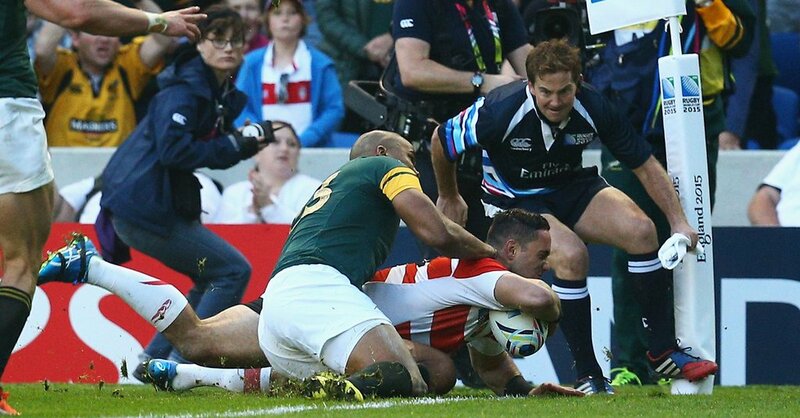 Karne Hesketh’s try was an incredible moment, up there with some of the best in Rugby World Cup history. Sadly there were to be no further upsets but gone are the days when the lower ranked teams are given a 100 point pasting, the gap has closed. For example, Georgia gave New Zealand a really good game in Cardiff, and theirs was just one of several incredible team performances. Australia put in a superb display against England and then backed that up with a defensive effort against Wales which bordered on the absurd. Wales themselves pulled out an improbable victory against England when obliterated by injuries and were unlucky against South Africa in the quarter-final because it could have gone either way. The unluckiest of course were Scotland who performed in a match better than they have in a World Cup game since 1991 in that quarter-final against Australia, suffering a controversial penalty and further insulted by Craig Joubert’s dash from the pitch. Argentina also put in a clinical display early on against Ireland, who will once again rue a missed opportunity at a World Cup, proving that they have benefited from competing with the Southern Hemisphere big guns in the Rugby Championship. I was privileged to watch the New Zealand v France game in Cardiff. Although the French were diabolical you could not fail to heap praise on the All Blacks who played a brand of total rugby never seen before with audacious offloads, skillful carrying from all the forwards and all performed at a ferocious pace. Quite rightly it was the All Blacks who have retained their trophy. This group of New Zealand All Blacks are perhaps the best sporting team in history. Ranked number 1 in all of world rugby since November 16th 2009 they richly deserve all the plaudits directed their way, consistently winning matches, with a team featuring some legends of the sport. Several of those players have been hanging on, no longer at the peak of their powers, to retain the trophy it took so long for them to recapture. A victorious final will have been a fitting finale for players such as Carter, Nonu, Conrad Smith, Mealamu and probably McCaw, plus Tony Woodcock who departed the tournament injured. These players have targeted this victory as their swansong but newcomers like Dane Coles, Brodie Retallick and Nehe Milner-Skudder have added to the squad and win their first World Cup. 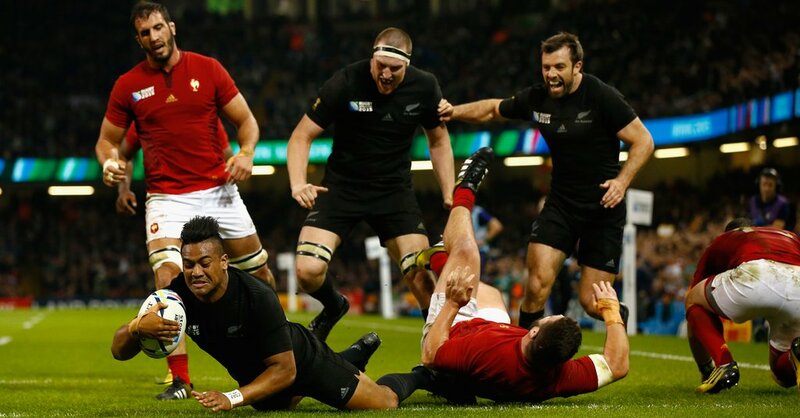 In Ritchie McCaw and Dan Carter we have seen two colossal players, the gritty McCaw and Carter’s mercurial genius. 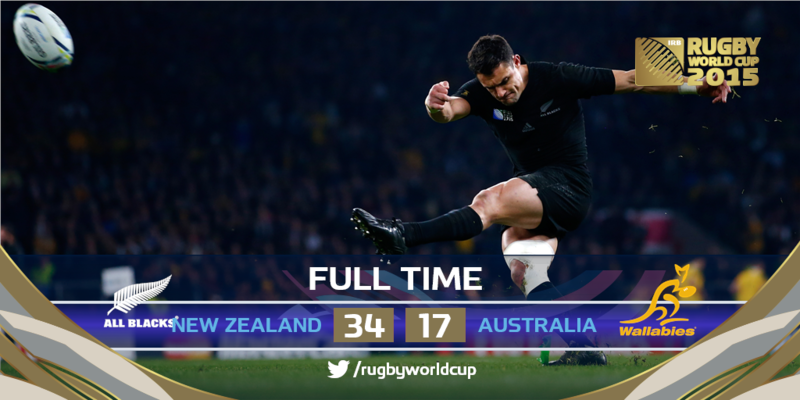 Winning this World Cup is indeed their crowning achievement, their best them in the All Black jersey. Say what you will about McCaw he has given everything for the jersey which is all you can ask at international level but maybe it is time for him to sort his equilibrium out, the number of times he lost balance at an Australian tackle situation falling towards the ball was most unfortunate but in all seriousness, what an incredible warrior he has been for his team. In 2017 the British and the Irish Lions will take on the World Champions and that Test series may have just been elevated to epic proportions.